Wow. There are an awful lot of different opinions circling around this movie at the moment. Can’t believe this is my first movie review of the year. What a crazy three months it’s been. Well Disney, that’s five in a row. The so-called “third golden age” of films from Disney’s main animated studio is still going – at least for another year or so – because Zootopia is pretty fantastic. A cocktail of painstakingly realised world-building packed with culturally relevant sight gags, Zootopia sells a vision of an idealised world with an all-too-familiar undercurrent of ugliness bubbling underneath. 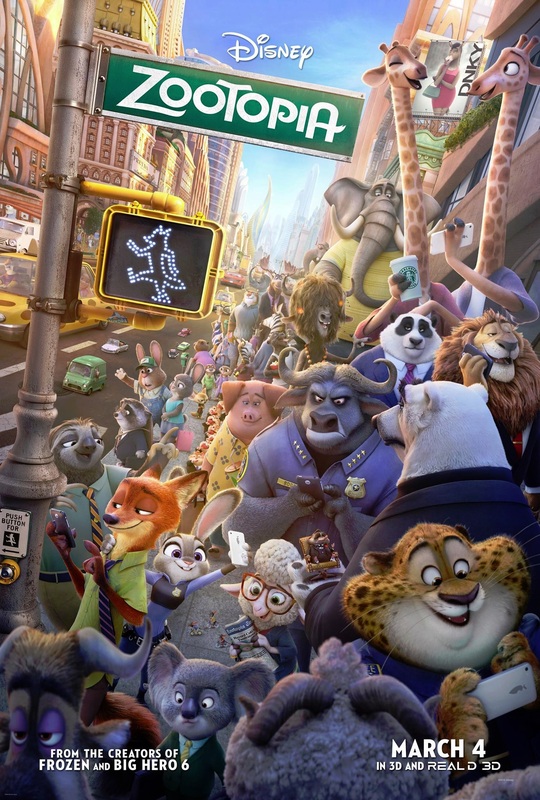 It’s one of the sharpest allegories for real-world social issues I’ve seen in an animated movie, and while occasionally a little overzealous in its desire to ensure its message gets across, Zootopia never halts its refreshingly-paced plot or sacrifices the believability of its colourful characters to do so, making it a quality movie for all kinds of audiences. Thanks to co-directors Byron Howard, Rich Moore and Jared Bush alongside a suite of animators at the top of their game, the House of Mouse has extended its hot streak.